You’ve likely seen them floating around: the articles claiming Love Actually is one holiday movie not worth its hype and that it’s problematic in some way. This, dear hearts, is not one of those articles. In fact, it’s the exact opposite. We’re here to reiterate all the reasons to still love Love Actually. Because — to quote this holiday treasure — it’s (almost) Christmas, and at (almost) Christmas you tell the truth. Please feel free to imagine us standing on your stoop, presenting these reasons to you on poster board while Christmas carols stream from a stereo. Does the film contain some of the most heartwarming romances in cinematic history? Sure does. The prime minister and Natalie, Jamie and Aurelia, we’re looking at you. But the movie is so much more than a surface-level rom-com. It shows love in many forms: the deep bond that can build between a stepfather and his stepson, the dark and complex love between a sister and her troubled brother, and honestly, we’re not even sure what between aging rock star Billy Mack and his right-hand man, Joe. Some of these love stories are messy and complicated, but it doesn’t mean they’re any less filled with love. Which brings us to our next point. Herein lies a major source of Love Actually’s magic. Unlike more saccharine examples of the holiday movie genre, this film doesn’t just focus on the happy stuff. It keeps the hard stuff in too because the hard stuff is just as much a part of real life. The movie is even rated R! 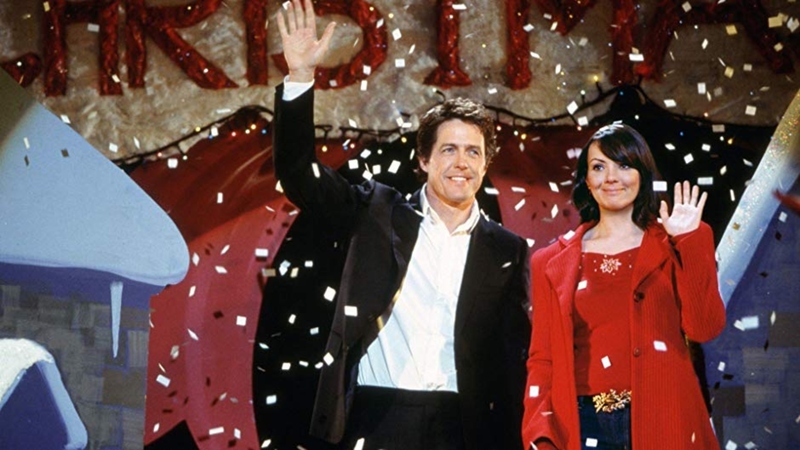 Despite dealing in heartbreaking experiences like the death of a loved one, unrequited love, adultery and self-sacrifice, Love Actually somehow still manages to impart all of the classic warm and fuzzy holiday-film feels. How is that? Eight love stories form the foundation of Love Actually and, really, there are more when you get in there and start analyzing everything. While we’re not naming any names, many a movie has tried to master the vignette format and failed miserably. Where they have failed, though, Love Actually shines. Fans of the film may not love every story being told, but they love the movie enough to parse out their favorite arcs. Before he was Sheriff Rick Grimes in The Walking Dead's zombpocalypse, Andrew Lincoln simultaneously broke our hearts and made them skip a beat as Love Actually’s Mark, who quietly pines for his best friend’s bride before delivering one of the film’s most iconic romantic moments. Oh, Mark. Bring your wasted heart our way. Swoon. Clearly, we’re feeling some kind of way about Mark's unrequited declaration of love. Five minutes before that, we were probably laughing. And 10 minutes before that, there were likely tears. Love Actually is the kind of movie that cycles you through every emotion, and you won’t be mad about it either. There’s something so inherently life-affirming about realizing you can traverse your emotions from sorrow to joy and back in the span of a single movie. This movie came out in 2003, meaning it’s been around for nearly two decades and we’re still not tired of it. Conservatively, we’ve watched it 15 times or more — at least once every holiday season. And, yet, it never feels stale or outdated. If we’re really being honest, it feels more salient than ever.